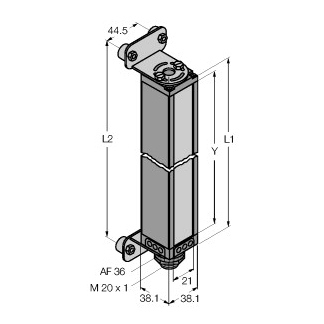 MINI-ARRAY: Emitter Sensor 1057mm (41.6 in.). Beam Spacing: 9.5mm (0.38 in. ); Total Beams = 112. System Range (w/ matching receiver) = 0.6 to 6.1m. System Requires 2 Quick-Disconnect Cables.